Nigeria is at it again. It’s four-yearly crossroads around the electoral calendar in 2019 and just like 2015, political risks around elections are co-joined with economic uncertainty. As it was in 2015, when the Nigerian Stock Exchange (NSE) slumped below its three-year low due to what market analysts attributed to dwindling crude oil price, foreign exchange problems and exodus of foreign portfolio investors, the picture this time round is also trending towards a slide in the critical indices. The market was also negatively affected by the instability of the naira exchange rate, which hovered around N197 and N200 to the dollar at the official market for the better part of the year, despite various measures adopted by the Central Bank of Nigeria (CBN); this discouraged foreign investors from the bourse. Available data obtained from NSE as at December 31, 2015 showed that the equity market dipped by 17.36 per cent year-to-date compared with a decline of 16.14 per cent posted in 2014. The All-Share Index (ASI) lost 6014.90 points or 17.36 per cent to close for the year at 28,642.25 on December 31, 2015 from the 34,657.15 it opened for the year. Also, the market capitalisation, which opened for the year at N11.478 trillion, lost N1.63 trillion to close at N9.850 trillion on December 31, 2015 due to huge price losses by some blue chips’ stocks. This time round, much of the economic woes are the results of wrong policy choices and as a result, the nation’s Gross Domestic Product (GDP) sits below 2 per cent as reported in 2018; 1.95 per cent in Q1,1.5 per cent in Q2 and 1.81 per cent in Q3. The performance of economic sectors remained tepid with the construction sector growth crashing to 0.54 per cent in Q3 after growing by 7.66 per cent in Q2; manufacturing grew by 0.68 and 1.92 in Q2 and Q3 respectively; the real estate sector remained in a long term contraction just as the financial sector recorded a quarterly contraction of 4.81 per cent. Other sectors did poorly as well including education, health and public administration, with key exceptions being transport, telecommunications and utilities. Furthermore, reforms in key sectors of the economy have remained sterile. For example, legislative attempts in reforming the upstream and downstream of the oil and gas sector were all unfruitful power supply is yet to improve significantly, while security challenges have continued. The Nigerian stock market traded mostly on the negative side in 2018, closing the year with a negative average full-year return of -17.81 per cent at 31,430.50 points as against its year’s opening index of 38,243.19 points. Aggregate market value of all quoted equities or market capitalisation also dropped from its 2018’s opening value of N13.609 trillion to close at N11.721 trillion, representing a decrease of 13.88 per cent or N1.889 trillion. Foreign portfolio investments in the year under review outpaced domestic participation by 1.73 per cent, accounting for 50.87 per cent of total transactions, while domestic transactions accounted for 49.13 per cent. Within Domestic segment, Institutional order flow was 56 per cent, retail order flow was 44 per cent, while fixed income market capitalisation increased by 11.75 per cent to N10.17 trillion in 2018 from N9.10 trillion in 2017. Equity listings on the board remained mute except for the listing of Notore Chemical Industries Plc, while the admission of Skyway Aviation Handling Company Plc (SAHCO)’s 406,074,000 ordinary shares of 50 kobo each at N4.65 turned a welcome feat for Nigeria. Most analysts agreed that heightened political risks and macroeconomic uncertainties were major factors that adversely impacted the equities market in 2018. According to them, intense political activities started earlier than expected and the tenor of the campaigns appeared to worry investors, especially foreign investors that account for more than half of transactions at the bourse. The question that comes to the mind of investors is whether this would continue in 2019 especially when the general elections come up this week. Speaking during NSE’s 2018 market recap/2019 outlook in Lagos recently, Chief Executive Officer, NSE, Oscar Onyema, said that NSE had anticipated that market performance will be driven by higher global oil prices and domestic production, factors such as political risks, oil price volatility and rising global yields impacted negatively on market indices. On the outlook for 2019, Onyema noted that market sentiments in the first half of the year will be driven by uncertainty in oil prices as well as the 2019 general elections. “Domestically, we believe market sentiments in the first half of the year will be driven by uncertainty in oil prices as well as the 2019 general elections. Accordingly, we anticipate volatility in equities market in the first half of 2019, with enhanced stability post-elections. “We believe that swift approval and implementation of the 2019 budget may have a positive impact on companies’ earnings as well as consumer spending. Therefore, we expect a return of primary market activity with an uptick in secondary market activity during the second half of 2019,” he said. 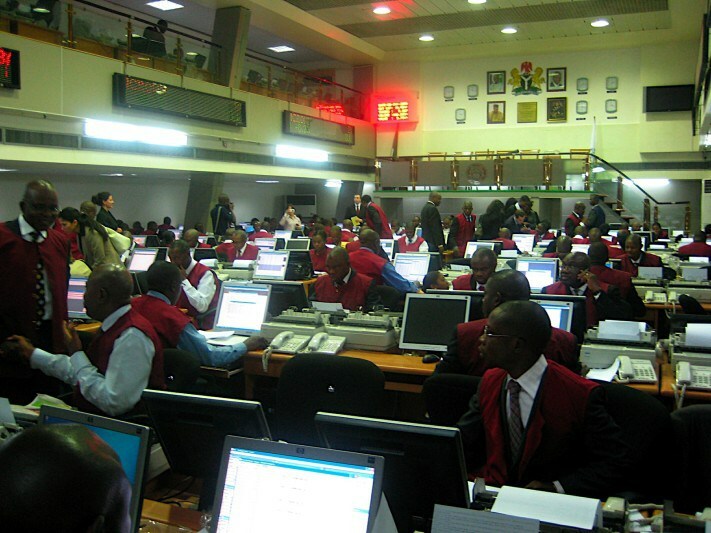 The NSE boss maintained that the Exchange will continue to execute its 2018-2021 strategy, working more closely with stakeholders, particularly the market intermediaries, to bring onboard new financial instruments, maximise organisational bond, cater to infrastructure financing needs as well as other capital requirements necessary for sustainable economic growth in 2019. Also speaking during the launch of the Nigerian Economy and Financial Markets: 2018 Review and 2019 Outlook Journal titled, On the Precipice, Group Managing Director, Afrinvest West Africa Limited, Ike Chioke, noted that the economy is currently on the edge, adding that the outcome of the general elections will determine the performance of the economy in the medium-term. Chioke called on the Federal Government to address the necessary reforms in the power, oil and gas and infrastructure, adding that the 2019 general election is an opportunity to press the reset button as well as re-jig the country’s economic model so that the nation is set on a path of sustainable growth and prosperity. The GMD further added that post-election stability, new listings, corporates’ earnings performance as well as sustained improvement in macroeconomic indicators will shape the direction of the market in 2019. He said, “our outlook for the equities market are based on three cases, we have the base case where we can recover from the losses from last year and we are looking at 40-44 per cent market upside because you have a post-election boom and then the rest will be running on a sort of what we consider to be bellwether stocks, consumer goods, banking, which ride on population growth, which Nigeria clearly has. For his part, Senior Research analyst at Capital Bancorp Plc, Victor Chiazor, believes that there would be a more quicker stability in the market should the current administration continue. His words: “There is also the issue of global shocks in terms of oil price, which would also have impact on the economy of Nigeria. Domestically, if there is a change of government, it is expected that there would be volatility and then recovery of the market would come at the latter half of the year, as there would be changes in policies and so at that point, foreign investors will begin to look for the economic direction of the new government. Thus, the outlook for the Nigerian stock market and the economy generally depends on the successful conduct of the February-March 2019 general elections. This appears to be a consensus among analysts but the global crude oil fluctuation and its broad implications on domestic fiscal and monetary management, especially foreign exchange stability and regulatory issues at the capital market, including the resolution of governance impasse at the Securities and Exchange Commission (SEC), which has been operating without a board and substantive executive management, will also moderate the performance of the stock market. In all, it is still wavering times for investors. Though it appears less, the crest looks brighter.